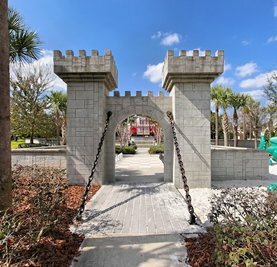 Castle themed playground - across from the house! Our two-storey, 4 bedrooms (two king sized master bedrooms & two twins), 5 bathrooms villa features an air-conditioned games room as well as a separate den with home cinema equipment. 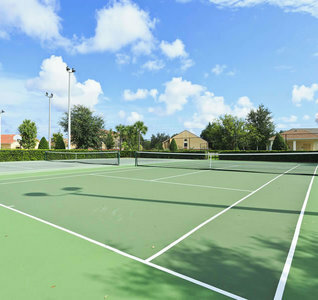 The villa is exceptionally spacious and is beautifully maintained. Free wifi and phone calls. Our guests enjoy and extended cable/movie package, Netflix, internet ratio and I Pod docking stations. The villa is also equipped with a safe for your valuables. From the moment you enter our villa you will be struck by the feeling of light and space from high ceilings, large windows and an open design. With nearly 3,000 sq ft of living space, each of the four large bedrooms has its own bathroom and walk in closet. The Den features a flat screen TV with home cinema equipment. The games room offers Wii, ping pong, air hockey and foosball. The villa is also equipped with I Pod docking stations, Internet radio and an internet TV in the living room. Being spread over two floors, our villa is very comfortable for two families or groups. The extended deck area around the pool and Jacuzzi is the largest of all designs. 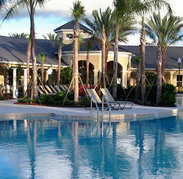 The pool is south-facing with additional landscaping for privacy and to enhance the view. 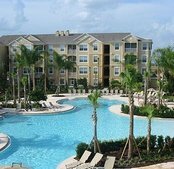 Deposit: Deposit of US $200 is required at the time of booking (refundable up to 10 weeks prior to arrival). Remainder payment required 70 days (10 Weeks) prior to arrival date. Cleaning: Cleaning fee of US $120 is added to stays less than 7 nights. 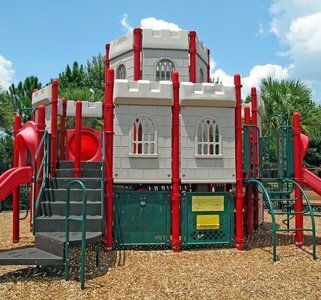 Our Teascone Blvd location is across the street from the large Castle-themed playground and is less than a 5 minute walk to the clubhouse. 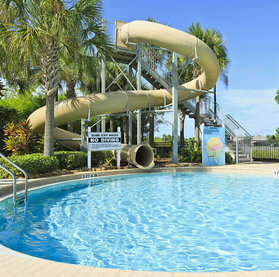 Windsor Hills is a terrific resort and the new Water Park's dueling slides and splashing fountains will delight kids and adults of all ages. 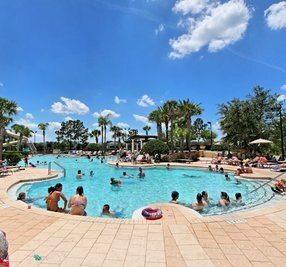 Use of clubhouse amenities are free to our guests, including large heated pool and Jacuzzi, clubhouse bar offering hot snacks, a fifty seat cinema, Concierge Info/ticket Service. 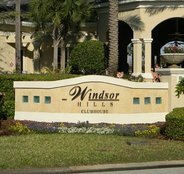 Furthermore, the Windsor Hills community is less than three miles from the entrance of Walt Disney World.